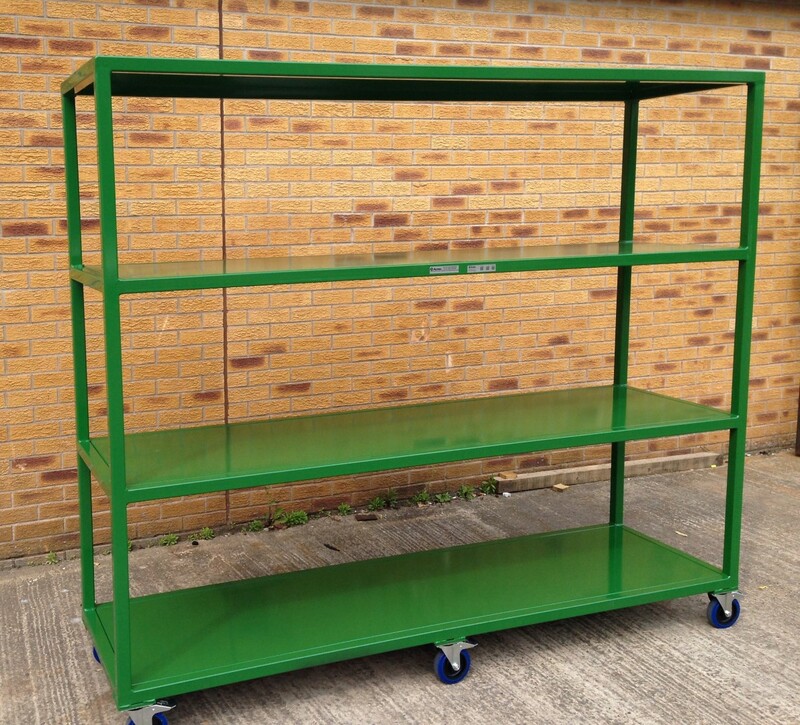 The Large Incoming Area Rack was designed and manufactured for one of the largest transport companies, based in Lincolnshire. The Large Incoming Area Rack has been designed to organise and store large quantities of working progress. The main framework has been manufactured from 40mm x 40mm mild steel box section. The frame work is manufactured from a thin walled box section to provide an optimum strength vs weight solution. The rack features is 4 pressed steel shelves high and it can fit 5 boxes wide. The rack features 6 off 125mm swivel with break castors. the castors features an elastic rubber tyre on nylon centred wheel. The metalwork has been powder coated in RAL 6002 Green to give a hard wearing durable finish. Alternatively, complete the form to the right and we’ll contact you as soon as possible.